Todd Lammle's bestselling CompTIA Network+ Deluxe Study Guide for the N10-007 exam! CompTIA’s Network+ certification tells the world you have the skills to install, configure, and troubleshoot today's basic networking hardware peripherals and protocols. First, however, you have to pass the exam! CompTIA Network+ Deluxe Study Guide, Fourth Edition by networking guru Todd Lammle has everything you need to prepare for the CompTIA Network+ Exam N10-007. 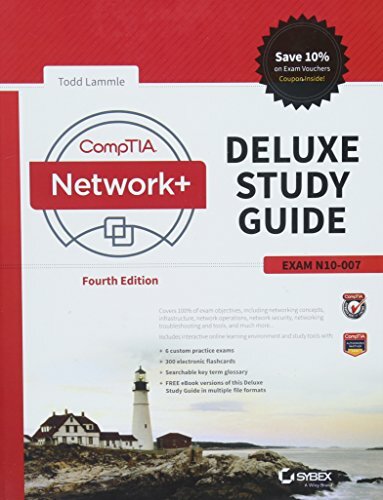 Inside, Todd covers all exam objectives, explains key topics, offers plenty of practical examples, and draws upon his own invaluable 30 years of networking experience to help you learn. You will have a year of FREE access to a robust set of online interactive learning tools through the Sybex onlne test bank, including hundreds of sample questions, a pre-assessment test, bonus practice exams, and over 300 electronic flashcards. 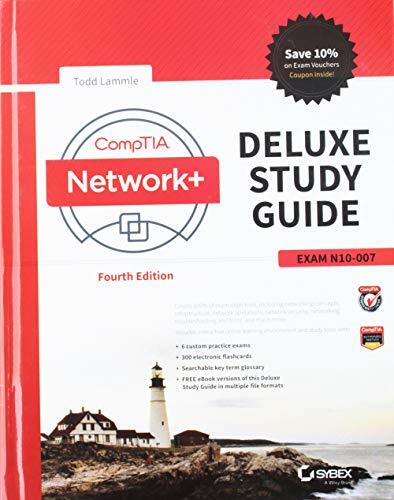 Prepare for the exam and enhance your career with the authorized CompTIA Network+ Deluxe Study Guide, Fourth Edition.